Mary Mary quite contrary how does your garden grow? 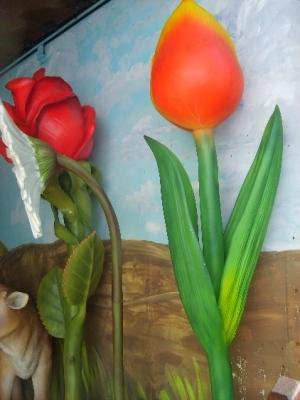 How about this Tulip to complete your garden, or nursery rhyme scene. This model has typical tulip petals and long green stem which is supported in a traditional brown flower pot. This would go well with our Tulip half 6ft (JR 1724).